Students with celiac disease and/or food allergies are asserting their rights at colleges and universities across the country. Rider University is the latest to agree to changes in gluten-free dining practices after legal pressure from students. Celiac.com 04/10/2019 - With more universities under pressure to provide for students with food allergies and sensitivities, it’s little wonder that students who feel that schools are falling short are pressing the matter legally. That often means filing a complaint under the Americans with Disabilities Act (ADA) to prompt a settlement. 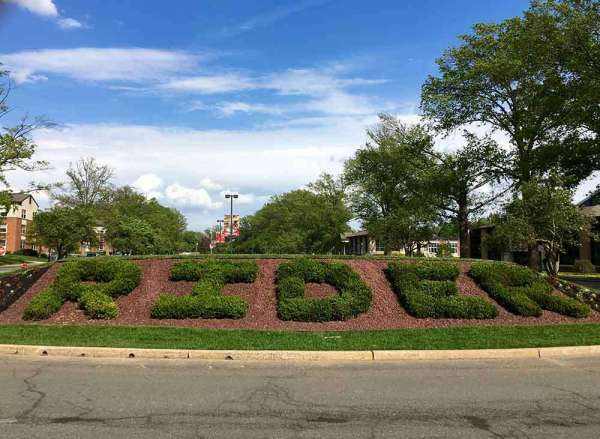 Most recently, Rider University agreed to make changes to its dining options to accommodate students with food allergy-related disabilities after a former student filed a complaint claiming violations of the ADA, U.S. Attorney Craig Carpenito announced. The actions were the result of a complaint by a former student with celiac disease, who claimed the University had failed to make reasonable accommodations. The changes came after the U.S. Attorney's Office found that Rider failed to create “reasonable policies, practices, and procedures for students with food allergy-related disabilities and failed to adequately train its staff on appropriate policies for accommodating individuals with food allergies," Carpenito said. On the positive side, Carpenito said that, from the onset, “Rider University has worked cooperatively to develop and amend its policies and practices to comply with the ADA." Under the agreement Rider University will create its own policies for students with food allergy-related disabilities, rather than relying on third-party food service vendors. Rider will create dedicated allergen-free food preparation areas in its dining facilities, and employ a full-time dietician to address food allergy-related disability issues. Lastly, Rider will create a "pre-order" option for students with food allergies. Rider spokeswoman, Kristine Brown, says that the school has gone beyond the terms of the agreement to open a new, allergen-free food-preparation station that will serve food free of the eight major food allergens – peanuts, tree nuts, fish, shellfish, milk, eggs, wheat and soy. The food at the station is also gluten-free, Brown said. Anyone who believes they have been wrongly discriminated against may file a complaint with the U.S Attorney's Office at justice.gov/usao-nj/civil-rights-enforcement/complaint or call the U.S. Attorney's Office's Civil Rights Complaint Hotline at 855-281-3339. Additional information about the ADA can be found at ada.gov, or by calling the Department of Justice's toll-free information line at 800-514-0301 and 800-514-0383 (TDD). Celiac.com 12/26/2012 - The Justice Department today announced an agreement with Lesley University in Cambridge, Mass., to ensure that students with celiac disease and other food allergies can fully and equally enjoy the university’s meal plan and food services in compliance with the Americans with Disabilities Act (ADA). Food allergies may constitute a disability under the ADA. Individuals with food allergies may have an autoimmune response to certain foods, the symptoms of which may include difficulty swallowing and breathing, asthma and anaphylaxis. For example, celiac disease, which is triggered by consumption of the protein gluten (found in foods such as wheat, barley and rye), can cause permanent damage to the surface of the small intestines and an inability to absorb certain nutrients, leading to vitamin deficiencies that deny vital nourishment to the brain, nervous system, bones, liver and other organs. Celiac disease affects about 1 in 133 Americans. Continually provide ready-made hot and cold gluten- and allergen-free food options in its dining hall food lines; Develop individualized meal plans for students with food allergies, and allow those students to pre-order allergen free meals, that can be made available at the university’s dining halls in Cambridge and Boston; Provide a dedicated space in its main dining hall to store and prepare gluten-free and allergen-free foods and to avoid cross-contamination; Enable students to request food made without allergens, and ensure that a supply of allergen-free food is available; Work to retain vendors that accept students’ prepaid meal cards that offer food without allergens; Display notices concerning food allergies and identify foods containing specific allergens; Train food service and University staff about food allergy related issues; Pay $50,000 in compensatory damages to previously identified students who have celiac disease or other food allergies. The settlement agreement was reached under the ADA, which prohibits discrimination against individuals with disabilities by public accommodations, including colleges and universities, in their full and equal enjoyment of goods, services, and facilities. More information about the Civil Rights Division and the laws it enforces is available at www.justice.gov/crt . More information about the settlement with Lesley University can be found at www.ada.gov or by calling the toll-free ADA Information Line at 800-514-0301 or 800-514-0383 (TTY). Is a Food Allergy a 'Legitimate' Disability? Celiac.com 02/08/2013 - In an article for Fox News, Hans von Spakovsky, a senior fellow at the right-wing Heritage Foundation, ridicules the idea that the Department of Justice (DoJ) should use its weight to force colleges and universities to accommodate students with food allergies under the Americans with Disabilities Act. At issue is a settlement the DoJ obtained with Lesley University in Massachusetts, which had allegedly violated the Americans with Disabilities Act by not adequately accommodating students with food allergies. Under the settlement agreement with the DoJ, Lesley University will pay $50,000, offer meals that do not contain “egg, wheat, shellfish, fish, soy, peanut, tree-nut products, and other potential allergens," prepare the food in a dedicated area, and to allow students to pre-order their special meals, among other requirements. In the view of von Spakovsky, the agreement amounts to "extortion" by the the DoJ. He calls the "idea that this is a federal issue, or that the Justice Department should burn its resources investigating food preparation in university dining halls…a complete absurdity." He goes onto call the DOJ's efforts at Lesley a "dish-hunt [which] exemplifies mindless mission creep and the bloated expansion of the federal nanny state." What do you think? Do you have children or loved ones with celiac disease, especially of college age? Should celiac disease be considered a disability? Do they deserve gluten-free food options at school? Should the government pressure schools that either can't or won't act on their own? Let us know your thoughts by commenting below. Click here to read Hans von Spakovsky's full article, ridiculing efforts by the federal government to use the Americans with Disabilities Act to pressure colleges to accommodate students with food allergies. Celiac.com 01/11/2016 - Is celiac disease a disability under the federal Americans with Disabilities Act? The Department of Justice says not necessarily. On the heels of a federal lawsuit that claiming that restaurants are violating federal disability laws by charging more for gluten-free food than for non-gluten-free counter parts, a Department of Justice spokesperson has stated that a 2012 civil rights settlement on behalf of Lesley University students with celiac disease does not make the condition a disability in all cases. DOJ public affairs specialist, Patrick Rodenbush, said settlement at Leslie University did not set a legal precedent, because the "…settlement enforces the rights of students whose food allergies were disabilities, [but] it doesn't necessarily make celiac disease a disability in all cases." This is relevant to a case in California, where federal judge recently denied a motion to dismiss a class action lawsuit alleging P.F. Chang's violates the Americans with Disabilities Act because it charges more for gluten-free items. In the P.F. Chang's case, Judge Ronald Whyte denied P.F. Chang's motion to dismiss because, he wrote, that, although the court had not found specific information proving that celiac disease constituted a disability under the ADA, the "plaintiff has pled sufficient facts to support her claim that she has a disability that impacts a major life activity." Whyte noted "on a more complete factual record, the court might reach a different conclusion." He also stated that it may be difficult, or impossible for Phillips to prove her claims. "The ultimate question is whether P.F. Chang's, in providing gluten-free meals, is providing different products or whether the price differential with regular meals is a pretext for discrimination against those with celiac disease," Whyte wrote. At stake is whether or not food vendors, such as P.F. Chang's can charge higher prices for gluten-free foods than they do for non-gluten-free items. The results of this case are being watched closely by celiacs and by restaurant companies, because a ruling that establishes that people with celiac disease are covered under the federal Americans with Disabilities Act could conceivably have a serious impact on how the restaurant industry approaches gluten-free food. Celiac.com 06/28/2017 - Announcements from colleges revamping their dining halls to offer gluten-free and allergen-free foods to students, faculty and guests with food allergies or sensitivities are coming at a rapid clip. The latest gluten-free feather in the cap goes to Cornell University, which has restructured its campus dining halls and food services to include 100-percent gluten-, tree nut- and peanut-free kitchens, including offering a new 100-percent plant-based burger at two campus locations. Cornell received its gluten-free facility certification from Kitchens with Confidence after cleaning or replacing equipment and meeting the rest of the qualifications for gluten-free certification. Still, even before the certification was official, Cornell had been quietly serving gluten-free dishes for the last two years. During that time, Risley offered a stir-fry station that served only rice noodles, and also served rich brownies and fluffy biscuits made with gluten-free flour. Risley’s plant-forward, made-from-scratch menu items also include house-made soups and salad dressings, and the introduction of a 100-percent plant-based Impossible Burger at two Cornell Dining eateries on campus. These initiatives are part of Cornell’s commitment to the Menus of Change principles of healthy, sustainable eating, including a focus on whole, minimally processed food and transparency in menu items. As an additional part of that commitment, Cornell Dining will soon implement high-quality ingredient standards in several clean ingredient categories. The department's Clean Ingredients team has already changed more than 50 ingredients currently purchased, and is actively changing recipes at both the AYCTE locations and the retail eateries. Cornell Dining now oversees concession operations at Cornell Athletics facilities, while Cornell Catering manages events at Moakley House, offering snacks, meals and beverages at Big Red games, the winter season at Bartels Hall, and adding more concession sites for Cornell's spring sports season. Meanwhile, Cornell Concessions will manage events at Moakley House, the clubhouse at Cornell University's Robert Trent Jones Golf Course. Students, faculty and visitors at Cornell can look for these gluten-free and other menu changes at all campus food locations and events. Look for stories like this to become commonplace as more colleges and universities provide accommodations for students, faculty and visitors with food allergies and sensitivities.